For the first time ever, a young novel about the teen years of L.M. Montgomery, the author who brought us ANNE OF GREEN GABLES. Fourteen-year-old Lucy Maud Montgomery -- Maud to her friends -- has a dream: to go to college and become a writer, just like her idol, Louisa May Alcott. But living with her grandparents on Prince Edward Island, she worries that this dream will never come true. Her grandfather has strong opinions about a woman's place in the world, and they do not include spending good money on college. Luckily, she has a teacher to believe in her, and good friends to support her, including Nate, the Baptist minister's stepson and the smartest boy in the class. If only he weren't a Baptist; her Presbyterian grandparents would never approve. Then again, Maud isn't sure she wants to settle down with a boy -- her dreams of being a writer are much more important. But life changes for Maud when she goes out West to live with her father and his new wife and daughter. Her new home offers her another chance at love, as well as attending school, but tensions increase as Maud discovers her stepmother's plans for her, which threaten Maud's future -- and her happiness forever. MELANIE J. FISHBANE holds an M.F.A. in Writing for Children and Young Adults from the Vermont College of Fine Arts and an M.A. in History from Concordia University. With over seventeen years' experience in children's publishing, she lectures internationally on children's literature and L.M. Montgomery, whom she has been obsessed with since she first read Anne of Green Gables in Grade Six. Melanie teaches English at Humber College in Toronto, Ontario and is one of the contributor in the essay collection, L.M. Montgomery's Rainbow Valleys: The Ontario Years 1911-1942. Melanie lives in Toronto with her partner and their cat, Merlin. 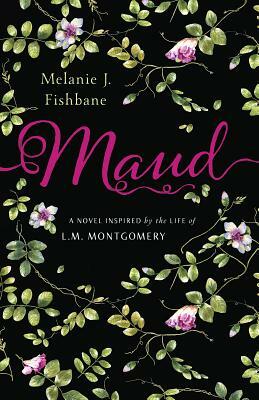 Maud is her first novel. You can follow Melanie on Twitter @MelanieFishbane and like her on Facebook. A Huffington Post Canada Selection: "Great Books for Kids in Summer 2017"